Remember Bondic, the light-curing liquid plastic that you can use to fix, fuse, and repair all sorts of objects? It’s awesome, since it lets you spread, shape, and adjust all you like before bonding permanently. Problem is, it’s not quite as strong as super glue, so the hold isn’t quite as tight. 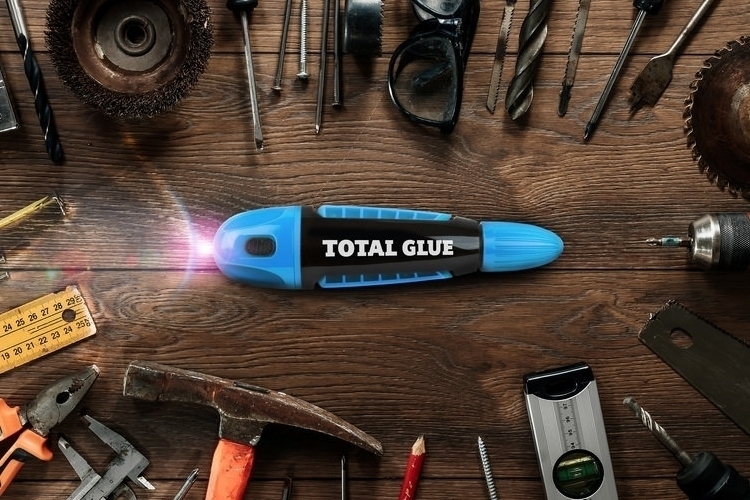 Total Glue is a new adhesive that combines the strength of super glue with the fast-curing capabilities of Bondic. 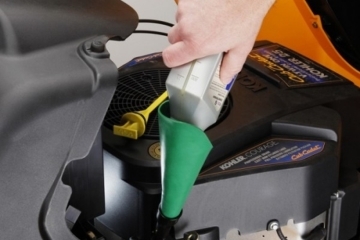 Like light-curing acrylic resin, you can adjust the substance after application, allowing you to wipe off excess, spread it more evenly, or pool it any way you like. Unlike it, the substance hardens after a minute even without being exposed to light just like super glue, so you have the option of simply waiting till that time comes instead of having to use your UV beam every single time. 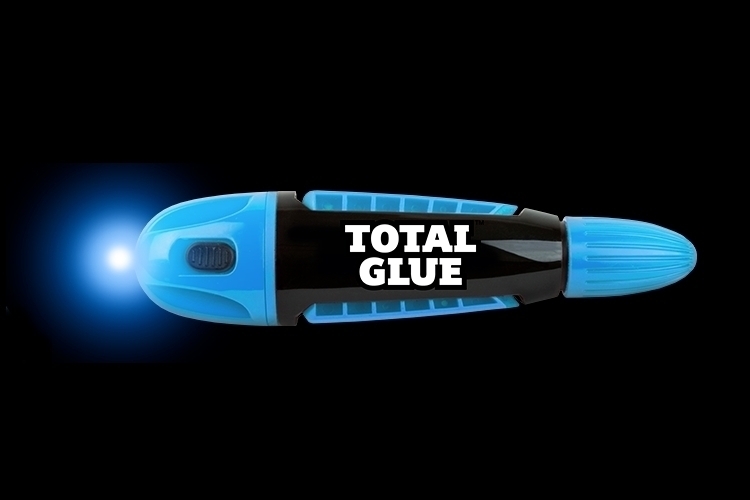 While the current crop of light-curing adhesives use the same acrylic resin substance, Total Glue is made from a reformulated version of cyanoacrylate (the main substance used in super glue) that infuses it with the light-curing properties of liquid plastic. That means, it bonds as strong as super glue while having the ability to cure after just five seconds of being exposed to UV light. 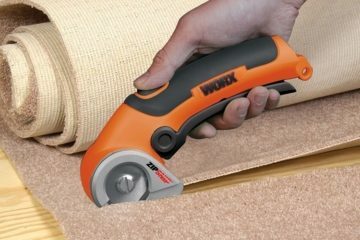 This makes it a better alternative to other light-curing bonding products, which aren’t able to replicate the same strength as the popular and long-running adhesive. What can you do with the adhesive? Pretty much, anything you can do with super glue. 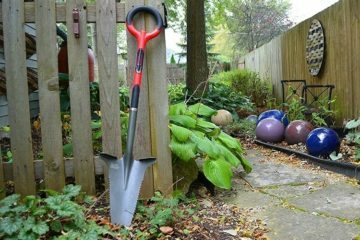 Want to reattach a broken handle to a mug? 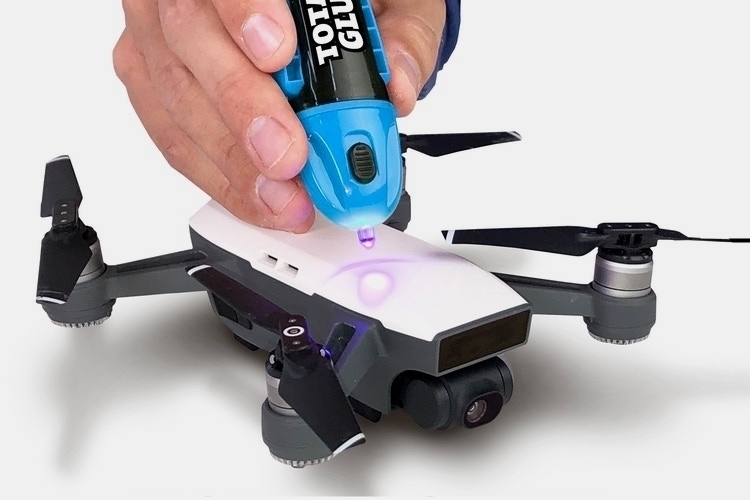 Just apply the adhesive, stick the corresponding surfaces together, shine the UV light on the connections (the light should be an inch or less above the bonding area), and it’s done in five seconds. Need to fill a gap? You can do the usual approach of mixing it with baking soda just like super glue, although you can also just apply one layer, cure it, apply another, and cure it again, repeating the same process over until the gap is filled. Seal cracks? Yep. 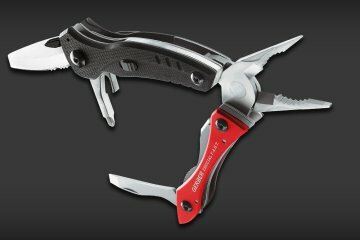 Create a new cover for exposed wire? It can do that, too, along with any other thing you can do with super glue and light-curing acrylic resin. It can also be sanded and painted over, making it look like a part of the original object after a finishing coat. Total Glue comes in five-gram tubes similar to regular super glue, although it’s not meant to be applied just directly from the container. Instead, it comes with a protective shell designed to hold the tube, with an integrated squeeze mechanism that makes it easy to draw exact amounts of substance. 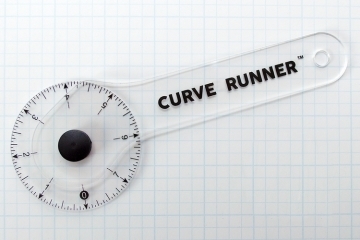 Two swappable application tips are included – one that dispenses a big drop of the glue and another with a needle-like tip for precise application in small doses. 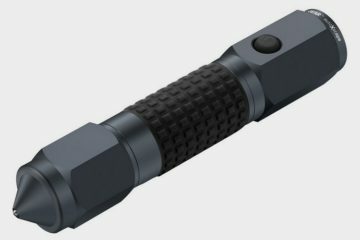 The UV light sits on the opposite end of the application tip, ready to light up with a push of the switch. 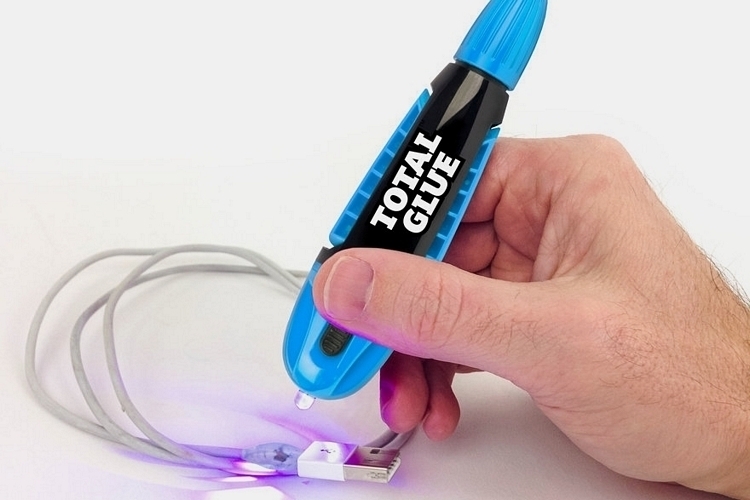 A Kickstarter campaign is currently running for the Total Glue. You can reserve a unit for pledges starting at $10.